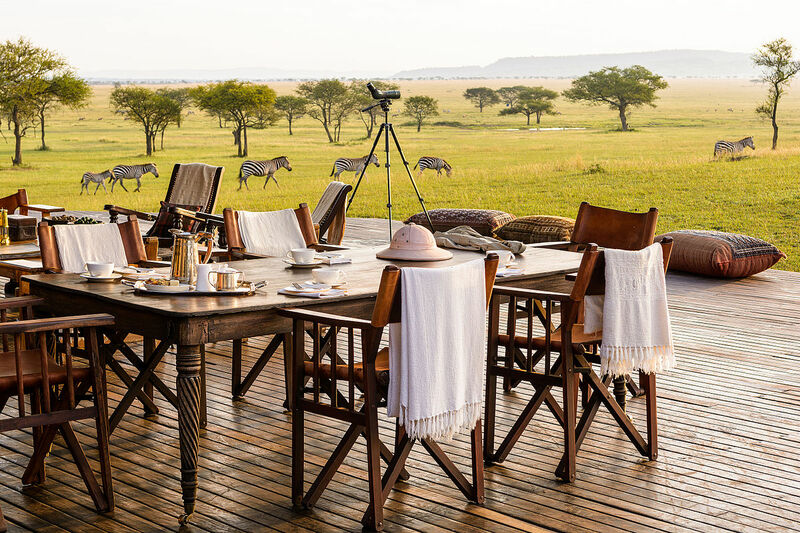 On Wednesday, August 10 I woke up bright and early in order to watch the live discussion on trophy hunting and lion conservation that was hosted by National Geographic. In case you missed it, here is a brief summary of what was said: along with some of my thoughts about it. The speakers were Jeff Flocken of the International Fund for Animal Welfare, Dr. Luke Hunter of Panthera, Dr. Craig Packer of the University of Minnesota, Dr. Amy Dickman of the Ruaha Carnivore Project and the Oxford WildCRU, and Beverly and Dereck Joubert: National Geographic explorers and the filmmakers behind The Last Lions (which I highly recommend). 95% of Americans are opposed to the trophy hunting of endangered species. Note: I have been unable to locate the source of this number. The outrage over Cecil’s death is further evidence that the American public no longer views trophy hunting as an acceptable conservation strategy. Trophy hunting is going to end whether we like it or not. It is time to prepare for this. Africa’s lion numbers have declined by 43% in one decade. 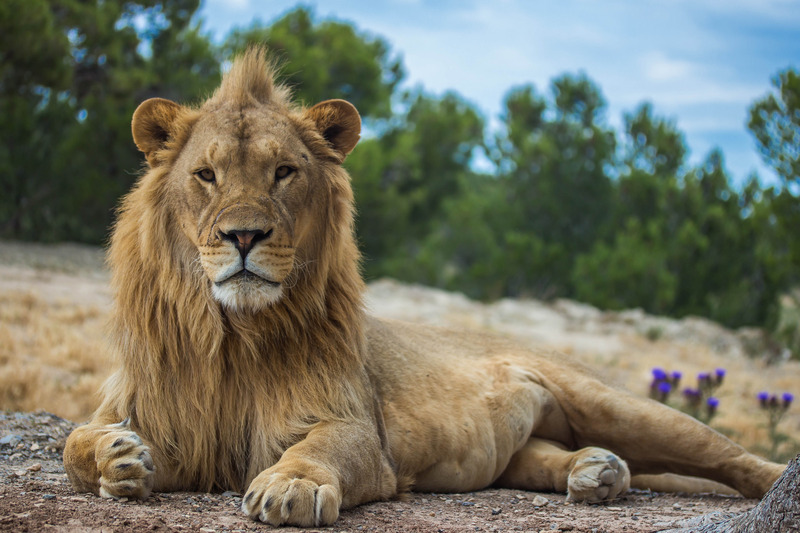 Trophy hunting can harm lion populations: but bushmeat hunting, habitat loss, and human-lion conflict are the biggest threats. To save lions, we need to invest in Africa. This will help to secure protected areas, bolster anti-poaching efforts, and reduce retaliatory killings of lions. Many African leaders are willing to end trophy hunting if enough funding can be secured. There is not much reason to trust the trophy hunting industry or suspect it is good for lions. “The slaughter of the innocents:” male lions in hunting areas are often killed before they reach maturity. In Tanzania, proceeds from trophy hunting go to corrupt politicians: not local people. Trophy hunting is more beneficial for lion conservation in the absence of such corruption. Despite the aforementioned drawbacks, a universal ban on trophy hunting is not advisable. Trophy hunting can maintain habitat for wildlife. The only countries that have seen significant recent increases in lion populations have been ones that allowed trophy hunting. Note: According to the IUCN Red List, the positive outcomes in these nations (Botswana, Namibia, South Africa, and Zimbabwe) are likely the result of relatively low human population densities and sufficient funding for conservation. The IUCN does not list trophy hunting as a key factor in the growth of lion populations in these countries. Botswana, one of the four, does not even allow lion hunting. Tourism alone is not a viable alternative to trophy hunting. 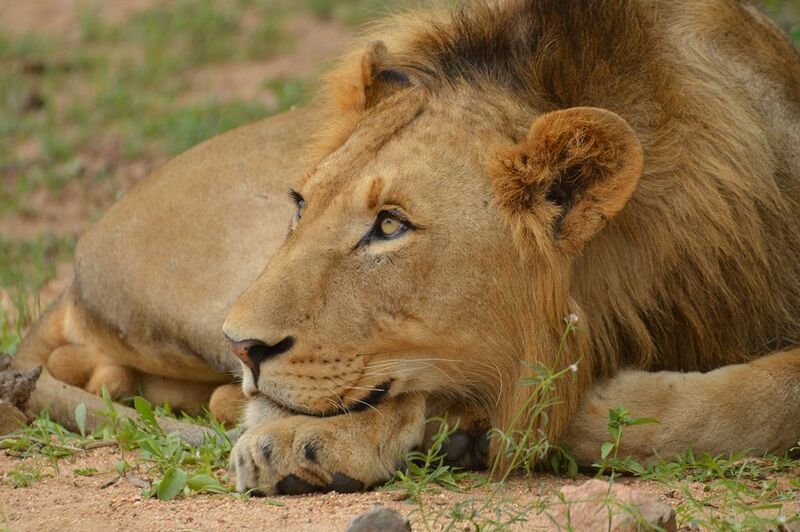 Issues such as human-lion conflict are more significant threats to lions than trophy hunting. More young male lions are being hunted, because too many of the mature ones have been killed. Killing a pride male creates social disruptions that could lead to the deaths of 23 additional lions. Trophy hunting is often not fair-chase. Local people feel disenfranchised because elite Westerners are allowed to kill lions and they are not. The Jouberts took over a hunting concession in Botswana after all but two lionesses had been killed. Photo tourism was far more successful than trophy hunting in all regards: the lion population recovered. In Botswana, the poaching of lions was highest when trophy hunting was legal. This is because legal killings masked illegal ones. All participants agreed that lion conservation requires a massive increase in funding. Dr. Packer called for $2 billion from the international community, whereas Dr. Hunter suggested $1 billion was enough. I found this to be an informative discussion that broadened my knowledge on the relationship between lion conservation and trophy hunting. All of the panelists brought up important points, but I found Jeff Flocken’s comments about the declining public support for the trophy hunting of endangered species to be the most poignant. It does seem that the sport hunting of lions is on the way out. Besides, people are more willing to support those figures whom they feel share their values (Kahan, 2010). Conservation organizations that are perceived to favor trophy hunting may thus face mounting criticism as public values shift. Therefore it is time to decrease our reliance on the trophy hunting of endangered species as a conservation strategy. You’re welcome Nia! I’m glad you liked it! Before trophy hunting, each participant should be obliged to stare at your wonderful top photo for a minimum of five minutes. Surely no-one could want to kill such a magnificent yet soulful creature after such an experience! I wish that were the case, but it might make some people want to kill it more; since they might think about what a nice trophy it will be. But the number of people who think that way is declining, as evidenced by the vastly growing number of people who are opposed to the trophy hunting of endangered animals. Times are changing, and conservationists need to change with them! Me pareció super interesante el resumen de la discusión Josh, la encontré muy enriquecedora. Me pone un poco triste igual que ya gente que sigue aceptando esto, y ahí ya me voy de los leones para ir con los elefantes también. Pero lamentablemente en este mundo hay de todo. Lo que si me parece super rescatable es que ya se está poniendo en duda el sistema, y que quieran invertir plata, algo que a veces es complicado de conseguir. Jajaja no ten miedo, voy a escribir sobre mi viaje pronto! Estoy muy ocupado ahora que escuela ha empezado. También, responderé a tu otro comentario pronto, pero ahora tengo que ir a la clase! Lo importante es el estudio :) corré así no llegás tarde! Jajajaja, y disfrutalo! Todo lo que has dicho es importante, Ani, especialmente el último parte. Más gente están dudando si sea aceptable matar animales como leones y elefantes para conservarlos. Esto es significante, porque la conservación depende en el apoyo del público para suceder. Así necesitamos adaptar cuando los valores públicos cambiar. Si, la conservación además de ser una ciencia relativamente nueva, es multidisciplinaria y en muchas decisiones uno depende de la postura social de ese momento. Estoy haciendo una materia ahora justamente específica de conservación y nos ponen muchos ejemplos de ese estilo. A mi no dejan de sorprenderme! Si, hay muchas facetas a la conservación! I wish there were more game preserves and wild parks for the big cats. I cant wait for a day when trophy hunting is gone or diminished, like whaling. great post. My favorite animal is the lion. Thanks for the compliment! And you picked a great favorite animal! Based on my understanding, it seems like there are already a lot of reserves for lions in Africa. But they’re not protected and maintained well enough, mostly due to a lack of funding (and a poor system for funding them). That was one of the reasons all the panelists at the forum asked for increased financial help from the international community: there just isn’t enough money being invested in African conservation right now. I also think you might not have to wait much longer to see at least the diminishment of trophy hunting. Public opinion is now firmly against that practice, and most conservation organizations rely (at least to some extent) on public support to carry out their work. So I think we’re going to start seeing more conservation projects pursuing alternative strategies to hunting; although these methods aren’t perfect either. Boom! You just dropped a knowledge bomb. Thanks for the update and info. Haha, I’m glad I could be of assistance! I don’t know how I missed this post. Such vividly beautiful and striking images. As always, very insightful information! Thanks Yvonne! Although as always, the credit for those images goes to the original photographers. I’m very grateful to them for making their photos available to the public! Thank you for posting something like this. Personally, I dislike trophy hunting and I agree with your statement that it is on it’s way out. However, conservationists can’t blindly ban the practice without understanding why it still exists. In some parts of Africa, the tourism industry relies on trophy hunters to bring in revenue. Without compensating for that loss of revenue, a ban on trophy hunting would be detrimental to many communities. Good points. First of all, I don’t think it’s up to international conservation orgs to ban trophy hunting: that decision lies with African leaders and citizens. And I often struggle with whether or not it’d be good to outright ban the practice, despite the problems with it. That’s why I stopped a little short of directly calling for trophy hunting to be outlawed, although I did say we should “decrease our reliance on it.” What this means is that we need to accept that sooner or later trophy hunting for endangered species will either become illegal or greatly reduced, so we need to start developing and testing ways to make up for the revenue shortfalls that will occur when that happens. US and UK based conservation orgs will also need to be increasingly careful about how they approach the issue of trophy hunting, so as to avoid alienating too much of the general public. Unfortunately I don’t know what the replacements for trophy hunting should be, and I admit that I know less about this topic than people who have actually been on the ground in Africa. But to me the writing on the wall is becoming hard to ignore. While I’m not a fan of trophy hunting or the related canned hunt I think it’s important to take a holistic view of all this and set priorities, something which is sadly lacking in the conversation, which usually approaches each issue in isolation. The threats to lions are canned hunting, trophy hunting and the parts trade and to my mind at least it’s clear that the parts trade is the most dangerous of these to the conservation of lions and all panthera, trophy hunting being bad but not quite so bad due to the product ( a hunting experience and ultimately a lion trophy ) is harder to hide as a practice and easier to track, then finally canned hunting as it doesn’t directly impact the wild population. While I have no love for trophy hunting or canned hunting I’m not sure it’s worth conservation groups putting much political or financial capital behind killing the practices so long as a panthera parts trade remains even a small possibility or more more generally issues of habitat loss and degradation remain as critical as they are right now. Only in areas where protection of habitat and lions is otherwise fairly strong is a pursuit of stopping trophy hunting particularly valuable, as I see it at least. Thanks for helping to put the issue in perspective. There are already animal welfare organizations that are actively opposed to trophy hunting, so I agree that more conservation-oriented organizations (e.g. WCS and Panthera) shouldn’t themselves invest too heavily in trying to end trophy hunting. They’d be better advised to focus on the more serious threats to lions, such as the parts trade and human-wildlife conflict. But If the general public continues to become more opposed to trophy hunting, then even these groups will need to be careful about how they talk about this topic.